Do you love to barbecue at family gatherings? Are you burgers the talk of all your friends? Do you prefer charcoal over gas? Barbecuing food adds the best flavor to any food. Everything tastes a little better after it has been cooked in the grill. There are many different types of grill you can use to make your favorite grilled dishes. A charcoal grill is the traditional favorite. It is still by far the most popular method used to grill dishes. If you have never used a charcoal grill, it isn’t very difficult to learn to do. You do need to be fire safety conscious and use safety precautions whenever you are using any grill that utilizes fire and a flammable liquid like lighter fluid. Be sure to choose a safe location and never grill from the inside of an enclosed space. If you’re up to the task of using a charcoal grill for the first time, read on to find out how easy it is. 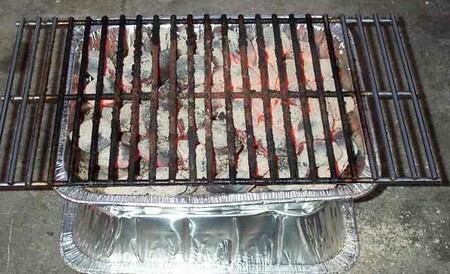 Here is how you can use a charcoal grill. Make sure the level you plan to grill on is level and will not present a hazard of the grill tipping over. You need to grill away from flammable objects and buildings. You never want to cook close to a thing or place that can catch fire. Be sure to always grill outside The fire from the grill emits carbon dioxide which is lethal if inhaled. Choose the safest place to grill so that no embers or sparks can cause an accidental fire. Check your grill to ensure that all the parts are in working condition and is clean. The ash compartment needs to connected to the grill it’s its appropriate place. Arrange the charcoal in the shape of a triangle. Use about 30 pieces per pound of meat that has to be cooked. A single regular 5 lb. bag of charcoal will have about 75-80 pieces. There should be enough to out measure the length of food by 2 inches if out. Use about ½ cup of lighter fluid for this fire. Allow the lighter fluid to seep into the charcoal. Light the coals with a match or lighting some newpaper and placing in under the charcoals to kindle them. You ‘ll need to open the lower vent on the grill before lighting the coals. You can use a long handled match for this step. Make sure the coals are well lit before proceeding.